Making your own Colloidal Silver is a lot cheaper than buying 4oz, 8oz or 16oz bottles. 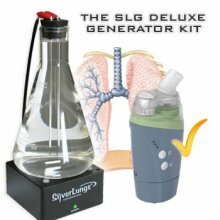 The price of Colloidal Silver Makers can seem expensive initially but when you work out the cost of each glass of Colloidal Silver made with a machine it breaks down to around 3c per ounce or 24c per 8oz glass. As you can see this works out a lot cheaper than buying 8oz bottle's of Colloidal Silver from us or anywhere else. 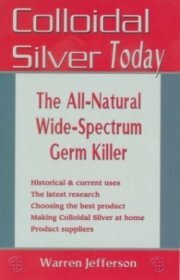 We recommend Colloidal Silver Makers to chronic sufferers as it can take from 2 - 3 months of drinking an 8oz glass of CS per day to treat most chronic illnesses. 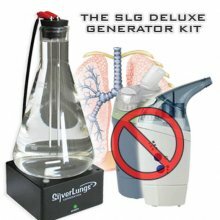 It is also always handy to have the option to make more Colloidal Silver whenever you or your family or friends need it while keeping costs to an absolute minimum. Please note: Our Colloidal Silver Makers are shipped directly from the US and Canada so if you are outside of these countries, your own country may incur customs import tax. The Electrolyser is shipped from The Netherlands in Europe. Electrodes .9999 (99.99%) fine silver. They are for the SilverGen SG6 model. 2 per set. Calibration solution. 230 ml. 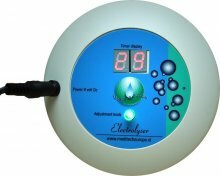 for use with PWT (Pure Water Tester) TDS PPM meter to test for parts per million of Colloidal Silver suspended in purified water.